After 3 weeks+ of no racing, Lake Cumberland Speedway roared back to life with a vengeance! Over 100 cars and the 2nd largest crowd in track history were on hand for a phenomenal night of celebration and racing! We say THANK YOU for supporting Lake Cumberland Speedway! The Wheeler Racing Team is currently taking orders for WHEELMAN MEMORIAL T-shirts and stickers. You can message McKenzie Dale Petty or Michelle Petty on Facebook to place your orders. Shirts and Stickers will be available for the June 15th $4,000 to win Late Model Race at Lake Cumberland Speedway. Saturday, June 9th 2018 Lake Cumberland Speedway Weekly Dirt Track Showdown! 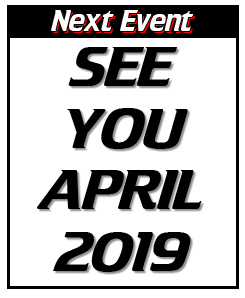 McGowan Excavating Super Late Models – Roark & Sons Transport Open Wheels – Yanders Towing KDRA Super Stocks – Somerset Machine KDRA Mini Stocks. Gates open 3pm Hotlaps 7pm. If you have armbands from the previous cancellations, those can be used June 9th. For full schedule of events, results, pics and more go to http://lcspeedway.net/. Like our Facebook Pagehttps://www.facebook.com/LCSpeedwayDirt/. Follow us on Twitter- @lc_speedway, Instagram-LCSpeedway and REMIND. TEXT @lcspeed to 81010 to get up-to-the-minute updates thru text.